Add engraved clip art to urn/plaque engraving? Add engraved silhouette (enter name of breed below)? The Pointer is a large figurine. Our Pointer dog figurine is handpainted with realistic markings and is adhered to the top of a wooden urn that is available in two sizes. The urn base can be engraved, directly on to the wood surface or a plaque in silver or brass finish. 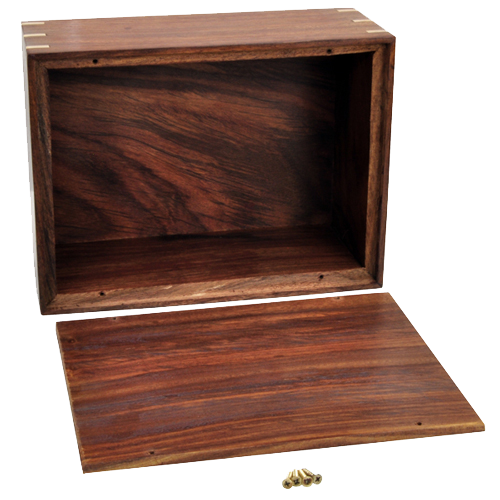 The urn compartment is access through the bottom and secured with threaded screws. Approximately 87 cubic inches. Will hold the ashes of a pet that weighed 87 lbs or less at the time of passing. Approximately 200 cubic inches. Will hold the ashes of a pet that weighed 200 lbs or less at the time of passing. 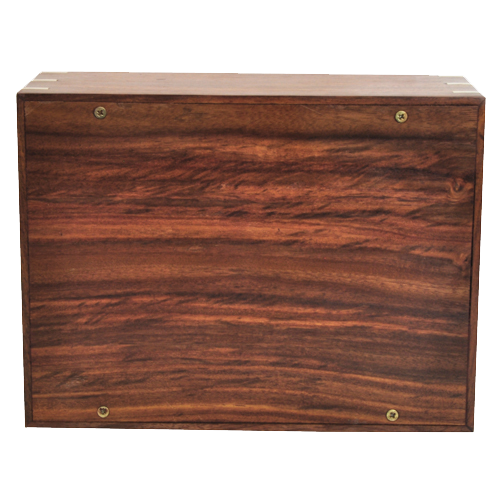 Wood: Solid Indian Rosewood. Since wood is a unique resource- pattern or darkness of wood may vary slightly. Large Plaque: 5"W x 2"H- may be added to front of urn. 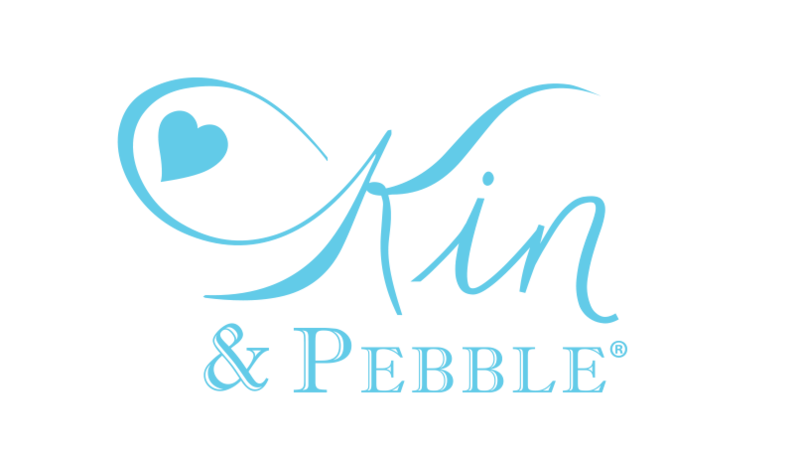 Accessories: Add a pre-engraved "My Dog" tag plus a custom engraved Heart Tag that hang from a chain collar. You can engrave on the front and back of the heart tag. What if I choose an urn smaller than I need? Many families choose to share in the remembrance. 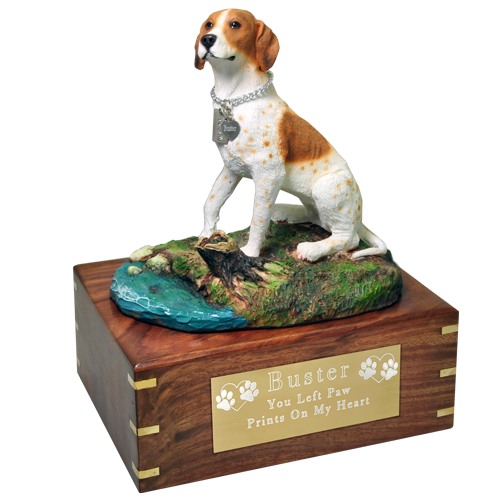 We offer several smaller size urns to be used as keepsakes. You may also desire to scatter some of the remains in a favorite or cherished place. What if I choose an urn larger than I need? You may wish to use the urn to house your pet's ashes, id tags & collar and small favorite toy (depending on size).